Atlanta, GA – Music fans and critics alike are buzzing with excitement about the news of Atlanta prog ensemble The SixxiS opening for Mike Portnoy’s new band The Winery Dogs upcoming European tour in September 2013. The SixxiS are touring in support of their recently released self-titled CD, which has been garnering major attention worldwide! After their first successful tour of Europe as direct support for classic rock legends Wishbone Ash, The SixxiS are gearing up for their second tour, in which they will play 15 shows in 8 different countries spanning Western Europe (England, Netherlands, Germany, Switzerland, Italy, France, Spain and Portugal). What started as a collaboration of different musicians in June 2006 became a powerhouse band consisting of world class musicians. 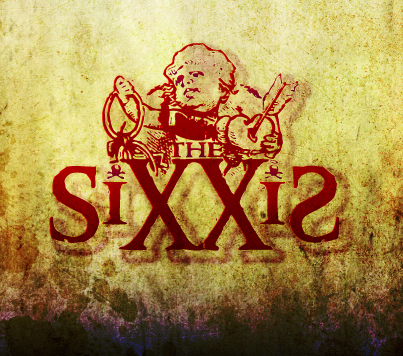 The SixxiS, initially the brainchild of the lead singer, Vladdy Iskhakov, exhibit a wide range of musical influences ranging from classic, jazz and rock music coated in a powerful, heavy, seductive and emotional shell of sound reminiscent of Rush, Muse, Soundgarden, System of a Down, Kings X and Alice In Chains. Due to the musical prowess of the band members, the trio are able to toy with time signatures and syncopation, to grasp the magnetism of robust dynamics, and to focus on the individual mastery of each respective instrument while continuing to be a cohesive whole. The lyrics demand attention from listeners, as they are messages of a soul crying out for spiritual awakening and awareness. The combination of haunting melodies, soaring vocal harmonies, distorted guitars, and a truly ‘powerhouse’ rhythm section of drums and bass make the SixxiS sound unique and unforgettable! After quietly finishing their first full-length independent album entitled ‘Believe’, The SixxiS quickly caught the attention of Grammy Award winning producer Malcolm Springer, who produced their new CD at Warner Brothers Studios in Nashville. In June 2012, the band signed with manager Tony Conway (Garth Brooks, Dixie Chicks, George Straight, etc), who secured their first international distribution deal with WBA Records, making available the band’s new release at all major music outlets (iTunes, Walmart, Amazon, Barnes and Noble, etc). After a year of honing their live act, The SixxiS would go on to share the stage with bands like the Adrian Belew Power Trio, Winger and Buck Cherry. The group’s new CD illustrates the overall stripped down sound of the core three-piece group. Says Vladdy, “The music was produced to make us more ‘mainstream’ than the previous album we recorded, which was much more eclectic. Our sound has always been an enigma to those who listen to our music. Some get it immediately…some think they get it…some don’t understand it at all… People generally have a hard time placing our sound…it’s not alternative enough to be alternative…it’s not progressive enough to be pure progressive rock…it’s its own thing. Sure, there are several bands whose influence can be heard in our music, but overall it is independent.” Along with the new studio recordings, the CD and bonus DVD features 3 live tracks taken from the band’s performance in August 2012 at the 12th and Porter (venue) in Nashville.